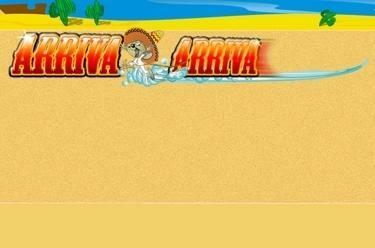 Play Arriva Arriva online for free now! Arriva Arriva features 5 reels and up to 25 win lines. In this slot you have a race with Mexico's fastest mouse - Twists galore await you at the finishing line. 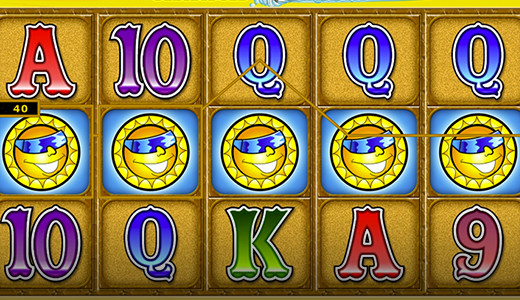 You can score the highest winnings with the mouse symbol which is also the Joker symbol. Your aim with Arriva Arriva is to land 5 identical winning symbols on one of the 25 pay lines. All winning patterns start on the left side of the playing field and run across the reel set to the right. Its so fast that even the quickest symbols can't catch up with it: That's why the mouse as a Joker symbol can matche all other symbols and can therefore increase your chances of winning. The only symbol it cannot replace is the Scatter, the cheese symbol: This symbol triggers the Arriva Bonus game when it lands 3, 4 or 5 times in any position on the reels. 3 cacti grant you 10 free games. 3 corncobs grant you 15 free games. 3 chillies grant you 20 free games. 3 maracas grant you 25 free games. 3 suns grant you 30 free games. The free games are played with the same settings as the basic game. You can win further free spins in the free games. With the exception of combos that consist of mouse symbols (Joker symbols) only all winnings are doubled during free games. Who's just sped past you? It's not one of your usual symbols on the spinning reels, but the fastest mouse in all of Mexico! Wearing a sombrero, it's faster than anybody else in Arriva Arriva: If you catch up with it, and you cross the finishing line to the free games together, your player account will overflow with Twists in no time!